As Russia and the Syrian regime of Bashar al-Assad increasingly push for refugees to return to their war-torn country, activists and rights groups have warned that many could face harassment, detention, torture and even death. Moscow has urged Western leaders to get on board with a plan to return displaced Syrians to their homeland and contribute to reconstruction costs, citing humanitarian concerns.Thousands have also begun to head back to areas now secured by the government, primarily from neighboring Lebanon which currently hosts about 1.5 million in total. Turkey and Jordan, which combined host about 4 million refugees from Syria and border the country, have also seen sizable numbers return. While Syria’s military, with its allies Russia and Iran, prepare for a final push to remove opposition forces from their last major stronghold in the northwestern Idlib province, Damascus and its allies want to shift the focus from conflict to rebuilding the shattered country. However, for many refugees, returning home to be part of that process isn’t an option. Ash, 30, was an activist at the start of the 2011 uprising against Assad. He was arrested in August of that year and detained for eight days, during which time he was tortured by regime agents. Discussing Russia’s plan, Ash pointed out that it is far from a neutral power. He also said that even if former activists are not targeted directly by Damascus, there are regime supporters throughout the country who may go after returnees they see as disloyal. 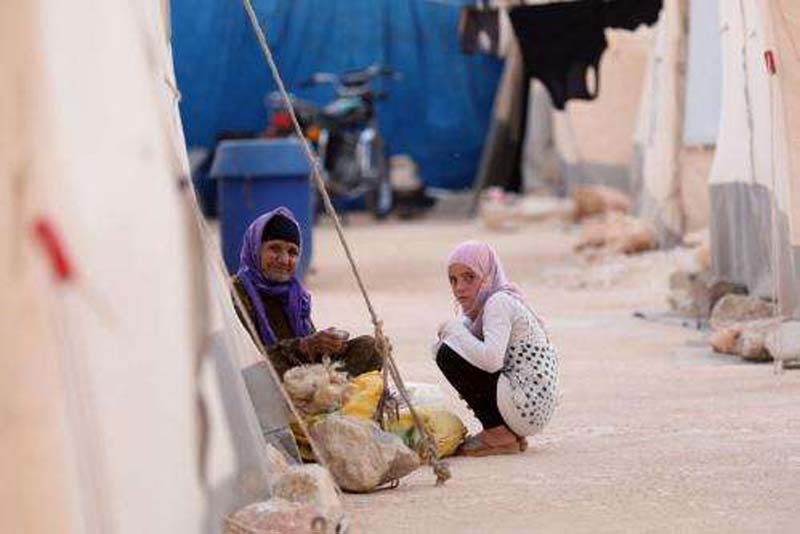 Voicing similar concerns to those of Ash, Sara Kayyali, a Syria researcher for Human Rights Watch (HRW), said the Assad government has failed to provide guarantees for refugees who may wish to return. She told Newsweek that HRW has not seen “anything from the Syrian government that would indicate” that it is willing to ensure that returnees won’t face arrest, harassment or worse. “What we do know is that for every one person that returns, we have three that are being newly displaced,” she said. According to the United Nations Refugees Agency (UNHCR), more than 5.6 million Syrians have fled their country since 2011. Additionally, some 6.6 million remain internally displaced within the country. Kayyali explained that even some who have been uprooted within the country have faced detention or harassment upon returning to government-held areas. Despite the risks, some Syrians have returned independently while others have gone back as part of groups organized by community leaders. However, some who wish to return home have found themselves blocked by the government. “If you’re returning as part of an organized group, then you need to submit your name for security clearance,” Kayyali said. “Many people have actually been rejected. It’s unclear why,” she said, although it’s likely linked to past activism or political activity. Such concerns have caused many Western governments to stand against Russia’s efforts to bring refugees back to Syria and start the reconstruction process. At the end of last month, France spoke out against Moscow’s pressure. “To consider a return of the refugees is illusory, in the current conditions,” French foreign ministry spokeswoman Agnes von der Muhll said, Reuters reported. France has maintained that it will also not support reconstruction efforts until a political transition takes place. But many analysts argue that Assad’s departure appears unlikely, although some have suggested the U.S. and Russia could agree to end to the conflict on the terms that Assad cede power pending elections. Officially, however, the Trump administration has said it won’t support any Russian reconstruction plan without seeing significant steps toward political change. “It’s not a personal or political decision, as much as it is, who is violating the populations' rights and what can be done about it,” she added. As for Ash, who founded a non-profit organization called New Syrian Human to empower and provide services to Syrian refugees, he remains hopeful that political and social change is possible someday in his native country. Before the war, Ash explained that people in Syria were afraid to even whisper Assad’s or his father’s names too loudly. Now people “have tasted freedom” and are “feeling more empowered,” as the conflict has revealed the regime’s weakness, he said. “This is something to be hopeful about,” he said.